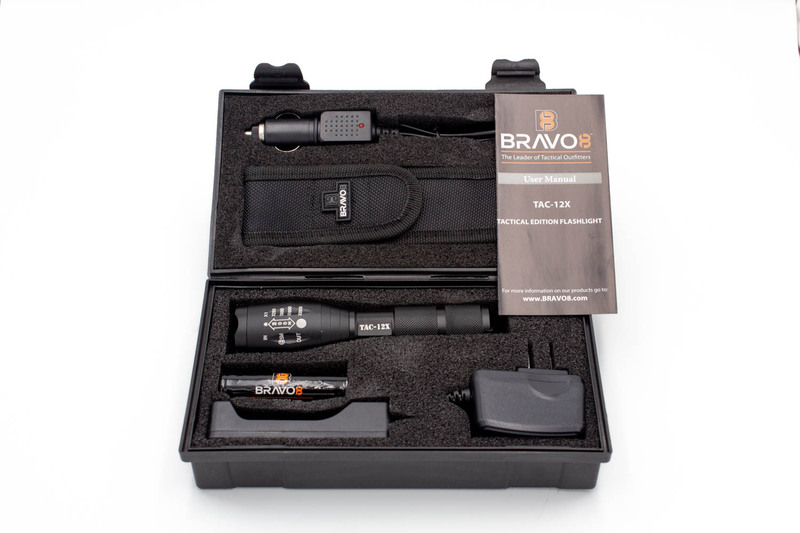 If you need a Military-Grade LED flashlight, the TAC-12X Tactical Flashlight Kit is the best option out there! 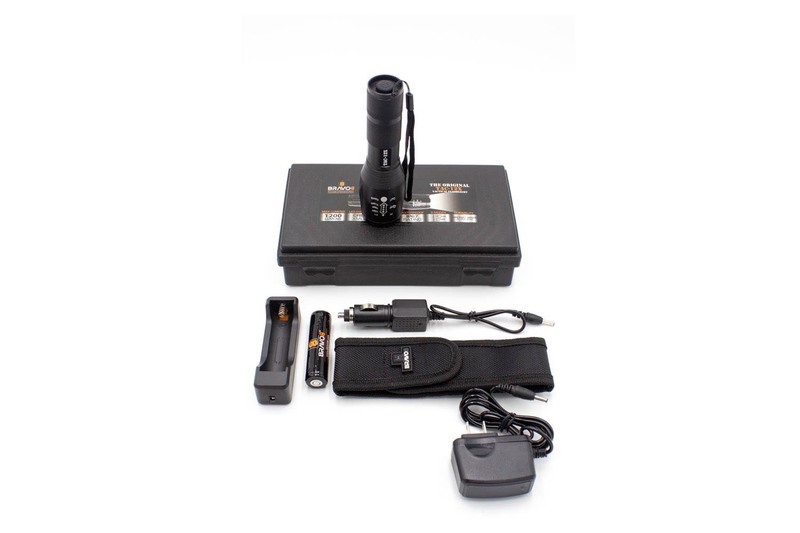 Made with a USA Made CREE XML-2 Emitter LED Bulb, this Tactical Flashlight outputs an incredibly generous 1200 lumens! 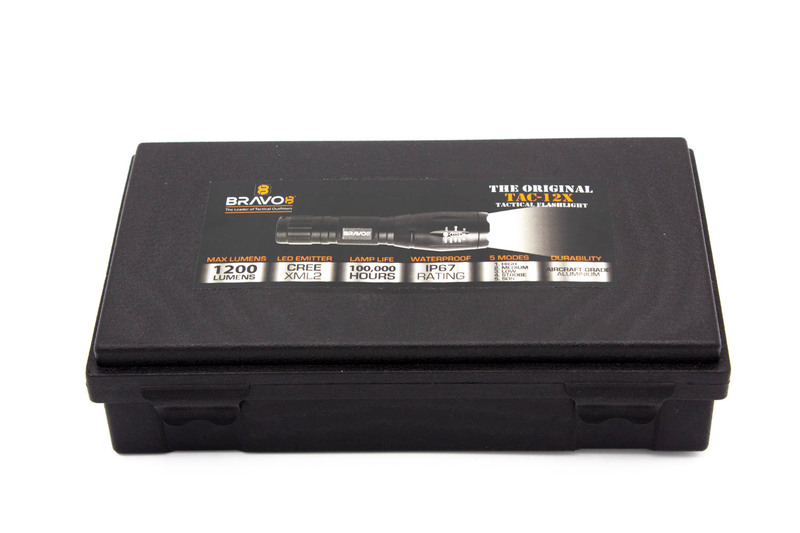 The TAC-12X has a Waterproof Rating Standard of IP65 & is perfect for every application, including hunting, fishing, prepping, hiking, & so much more. Built out of extra-tough anodized, aircraft-grade aluminum, this lightweight flashlight fits easily in a pocket, backpack, or car. 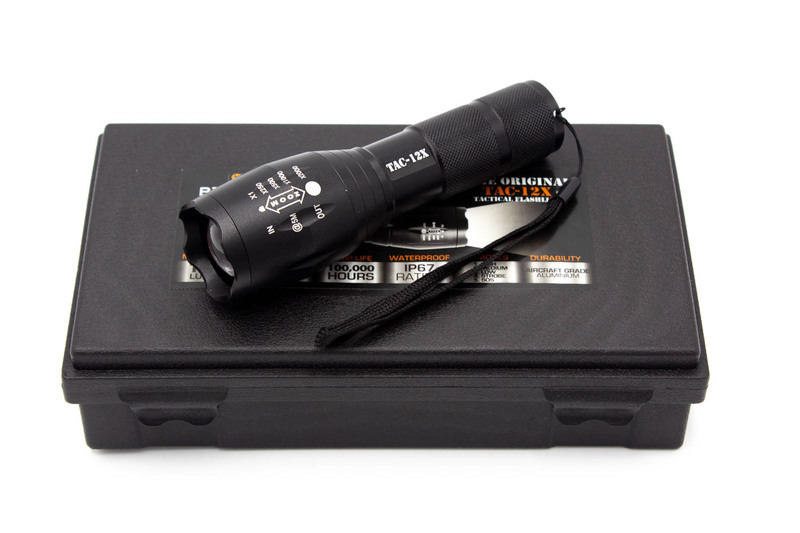 While the crenelated bezels at the tip of the TAC-12X allow for a means of self-defense, this Tactical Flashlight is also designed to produce unprecedented power in a small, convenient & easy to use flashlight. Featuring five (5) different light settings as well as a zoom function, you’ll be able to find the perfect settings for wherever you are. 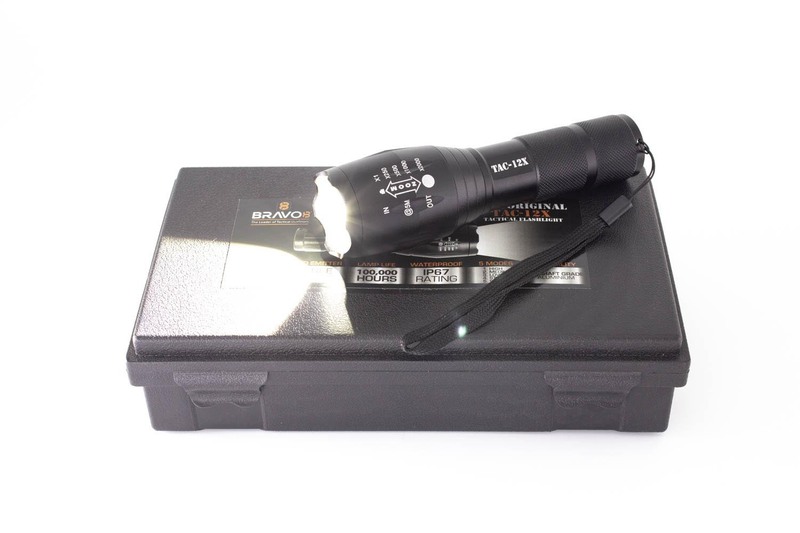 This makes a perfect gift for anyone in your life who needs a good flashlight, including everyone from a hunter, police officer, first responder & all the way to a neighbor who walks the dog or your family jogger. (1) 18650 Rechargeable Battery Cable - AC 100-250V (47-63HZ) - Input: 4.2V/500mAh - Output 4.2V - Length 65 cm.